Enjoy a visit to Kansas City. Conveniently located four miles from Kansas City International Airport with easy access to area attractions. This hotel offers 123 standard guestrooms and two-room suites. The suites provide a relaxing atmosphere, which include separate bedroom and living areas. Stay with Family at Drury Inn & Suites. 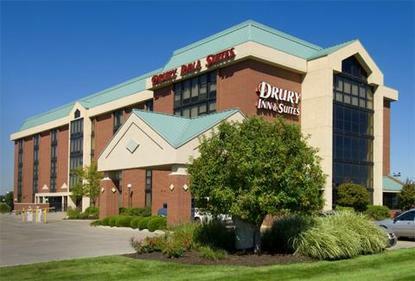 Drury Inn and Suites Kansas City Airport is located at Interstate 29 and Tiffany Springs Parkway (Exit #10), only three miles from the Kansas City International Airport.